Smile Makeover Treatment is the process of changing or improving your oral health, rejuvenating your smile and boosting your confidence. This treatment will help to transform your smile into something that is stunning and brilliant. If you want a gorgeous smile, then call our dentist to ask about a smile makeover. 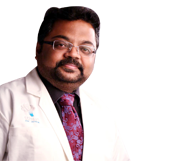 Patients throughout Chennai count on us because of our unsurpassed reputation for excellence.